Investments Anymore. We’ve Got that Covered. We’re a professional investment guidance firm backed by over 40 years of experience in the markets. So what is the HedgeFolios Advantage? The revolutionary HedgeFolios program allows You, the investor, to manage your own portfolio according to the model HedgeFolios established by market authority, Bert Dohmen. Sync your own portfolio with our model HedgeFolios in a matter of seconds with just one simple mouse click. No hassle, no worries. Enjoy the peace of mind knowing you have our professional guidance. You are in full control. Never wonder about what is in your portfolio. Each model HedgeFolio can reduce risk to help you protect your assets, three of which can even hedge and potentially profit during bear markets. Whether you portfolio is $100,000 or over $1 million, HedgeFolios can take the worry and headaches out of your investing. Your privacy is assured. We don’t ask and don’t know about the assets in your own account. 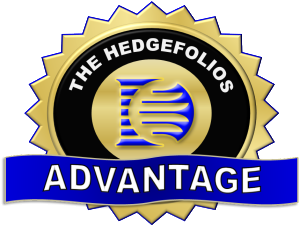 Find out more about the many advantages HedgeFolios provides. HedgeFolios are designed to protect the investor from big declines. The strategy doesn’t take the “buy and hold forever” approach. Using Bert Dohmen’s “Double-Profit Strategy,” you can profit in bull and bear markets. Therefore, HedgeFolios aims to minimize your risk and maximize your potential gains in any market environment. Investing should be a dynamic process, not static because the world, nor the markets, are static. Contrary to popular belief, catching a few big winners is not the road to investment success. Avoiding the big losses is far more important. Using advanced technical analysis, we typically get “sell” signals on a sector before painful damage is incurred and “buy” signals when a sector begins to rise. HedgeFolios aims to do exactly that by catching the major downturns and upswings, allowing you to achieve superior investment results. Learn more about our solutions to challenges that investors like you face everyday. Have you ever wished that you could have avoided some of your biggest losses when going over your investment statements? You quickly realize you could have had solid performance if it weren’t for those big losses, either in a few positions or on the wrong side during strong market corrections or bear markets like 2008-2009. You see, whereas the vast majority of investors focus on trying to find the big winners, the real secret to big investment success is to avoid the bear markets and crashes. That means, selling before a strong market correction, or big bear market, which cause your gains to vanish and turn to painful losses. 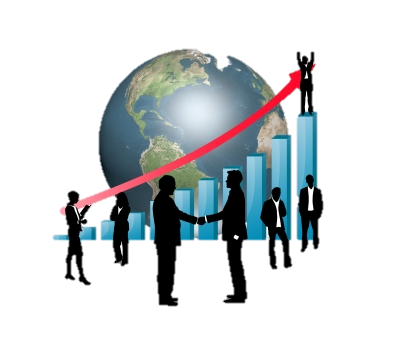 With that in mind, we have created an ideal solution utilizing our “Double-profit” strategy. 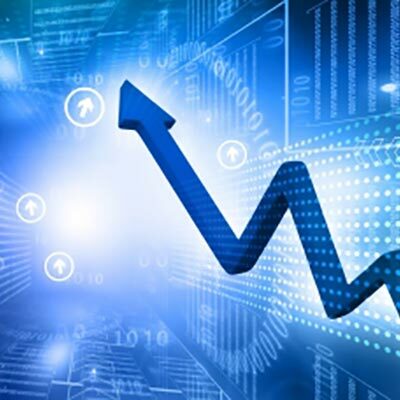 This strategy is designed to capture the larger sector and index moves, exiting positions before profits vanish, and re-investing the gains in other sectors that may just be starting their moves. This is done using advanced technical analysis. You see, most of the time, the big investment flows go into what is called “sector rotation.” The big institutional money doesn’t stay in one of several sectors forever. Once a sector has had it’s run and becomes overvalued, the money flows out and then into new sectors that appear undervalued. HedgeFolios is the simplest way for investors to manage their own investment portfolios, with the professional guidance to help lead you to successful investing. You can decide how much you want to be involved. We provide the in depth research and market timing, but you stay in control of your own investment portfolio. HedgeFolios utilizes a dynamic investing process, which will allow you to avoid big declines in the market and profit from them. By implementing our Sector Timing and Allocation strategy, you will be able to hedge your positions in a simple and streamlined approach. HedgeFolios is the ultimate solution for investors, providing professional guidance, personal control, and efficient investing. HedgeFolios doesn’t take the “buy and hold forever” approach. The goal is to have plenty of cash during the big declines and bear markets, and then be able to invest for the next rise or bull market near the bottom. In fact, the strategy is designed to enable the investor to profit from big declines. Using a Sector Timing & Allocation Strategy, it’s possible to be long the strongest sectors, and when appropriate, in effect be short the weak sectors via “inverse ETFs and inverse mutual funds.” This is exactly why we call the program HedgeFolios. All five model HedgeFolios will invest in ETFs as well as “no-load mutual funds” when we deem it prudent, such as times of great market volatility when ETFs may be subject to very wide swings. Using advanced technical analysis, we usually get “sell” signals on each investment before painful damage is incurred, and “buy” signals when a sector or index begins to rise. The signals don’t have to catch exact tops or bottoms (although sometimes they do), but they offer a drastic improvement to your investment strategy over the common “buy and hold forever” approach. We don’t believe that taking the 5-10 year “buy and hold” approach, and riding through a 50% portfolio loss, is defensible. If this happened to you in 2008, you know it’s time for a change. You can access your own HedgeFolios account anytime, anyplace, with any device as long as you have an internet connection. Once you receive your instant update notification, you can easily log in to your account and replicate the same trades we made in our models with one simple mouse click. Whether you are working on your laptop, sitting with your tablet, or on the run with your mobile phone, you can always stay up-to-date with our HedgeFolios. Sign Up Today To Become a HedgeFolios Member! 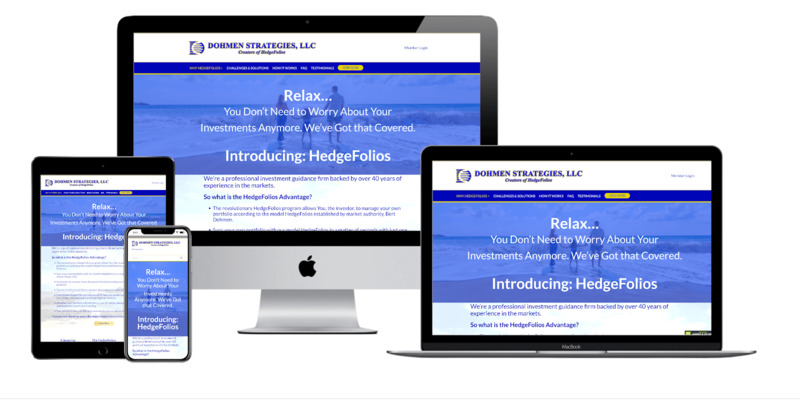 HedgeFolios is a membership service for investors who want to manage their own portfolios, using the models of Dohmen Strategies LLC. Dohmen Strategies LLC is not a registered investment advisor as defined. The firm does NOT offer managed account services. No consideration can or is made toward an individual’s financial circumstances. The investor assumes all responsibility. HedgeFolios is suggested for experienced investors, family offices, and financial planners with portfolios of $150,000 or more.